Here’s something better than simple chocolate, though – Amazing Things Made of Chocolate! ((Source)) This feature published by CNBC is something that every chocolate lover must take a look at. However, please don’t blame me if you find yourself wanting a gigantic block of chocolate after reading! 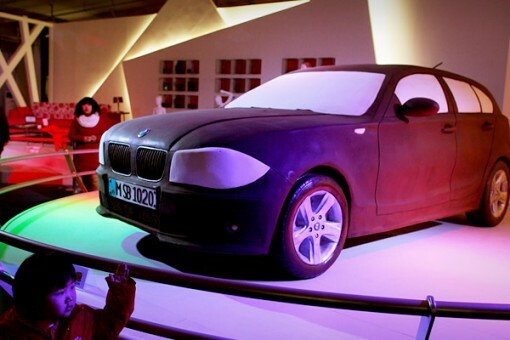 This chocolate dress was commissioned by Lambertz, a German bakery group. It is astounding, especially with the model wearing the dress. One thing I know for sure – this girl has a lot of self control not breaking off pieces of that chocolate dress! 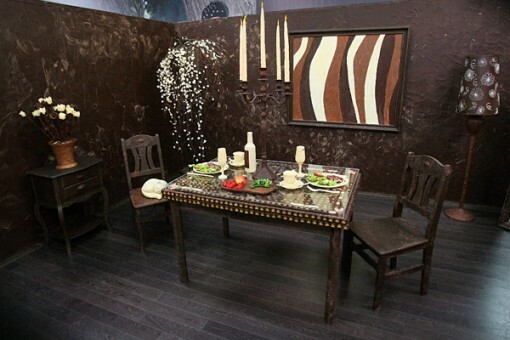 611 pounds of chocolate – that’s what was needed to create this 183-square-foot room in Lithuania. Every single thing is made of this delectable sweet. Again, the people involved in the creation of this room have to be commended for their self control! For our women readers who cannot get enough of shoes, here is a tribute for you. Shoes that, unfortunately, you can’t wear. On the upside, you can always break off a heel and eat the chocolate! 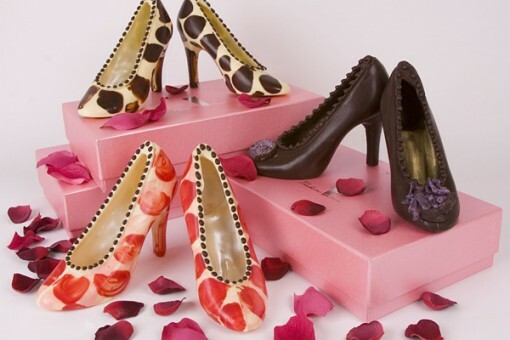 These shoes are made with Venezuelan chocolate and are the creations of Phil Neal from the luxury West London chocolate shop, Theobroma Cacao. Now this takes home the cake! 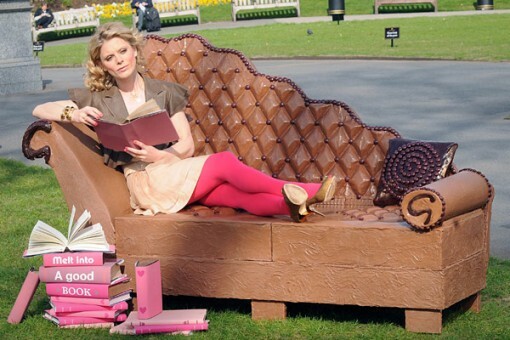 Commissioned by Mars for its Galaxy brand, this sofa is perfect for reading and eating at the same time.